When the radio show Music from India first aired on what was then WDUQ, Pittsburgh was a different city. But this is not a story about how Pittsburgh bucked its working-class roots to become the eds and meds tech hub it fancies itself to be now. That story has been written ad infinitem. Harish Saluja has borne witness to another transformation that has taken the Steel City decades to achieve: the changing personality of its immigrant population. And his radio show has provided the soundtrack to its evolution. What was once a mecca for Eastern Europeans who brought their pierogies and haluski to the area’s cuisine is now a spot where chana masala and naan are just as likely to show up on a restaurant menu. Asians, of which Indians are a subgroup, are one of the largest immigrant populations in Allegheny County — bolstered in part by those who come here seeking education at Carnegie Mellon University and the University of Pittsburgh. 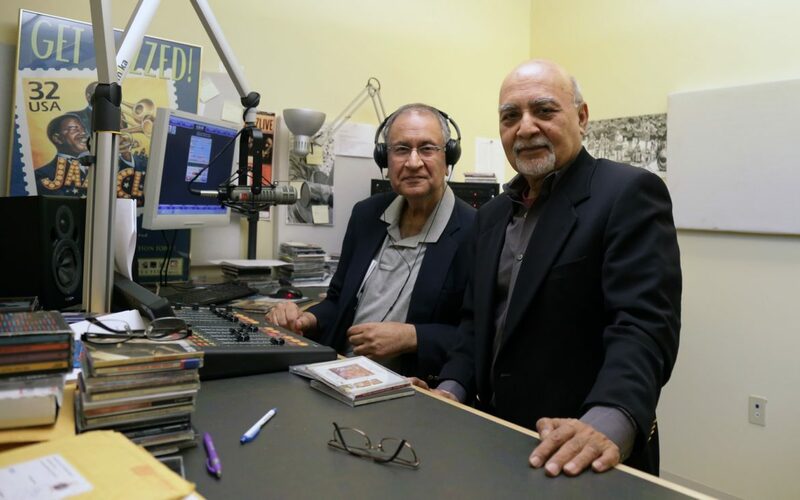 Now, 45 years after its launch, Music from India is the longest running Indian music program in the country, and serves as a symbol of how South Asia’s population has become an integral part of Pittsburgh’s culture. His self-deprecating sense of humor aside, Saluja recognizes the importance of Music from India, and its role in providing a link to Indian immigrants in the region. 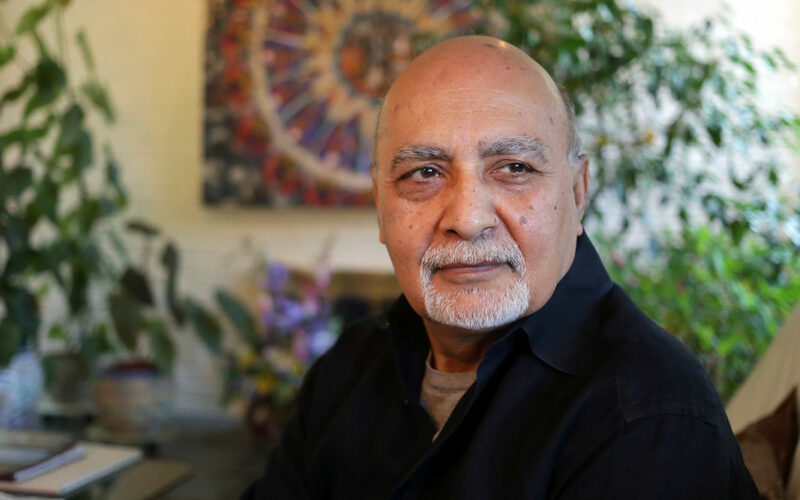 Saluja came to America from India’s province of Punjab in 1971 at age 25 with a degree in engineering and $300 in his pocket. He first arrived in New York City, but says he did not have proper shoes to walk in the snow. He eventually ran out of money, and somebody told him to go to Pittsburgh. “They warned me there was no civilization west of New York, until you reached the coast,” he joked. Four decades later, he’s still here. And many others from his native region have joined him in calling the Pittsburgh area home. Between 2010 and 2015, the county’s Asian population increased from roughly 34,000 to more than 40,300, according to census figures. Indians were the largest subgroup of Asians in Allegheny County, followed by people of Chinese descent. In 2016, nearly 4 percent of Allegheny County’s residents identified as Asian; for comparison, only 2 percent were of Latino or Hispanic heritage. The county’s Indian community of an estimated 14,000 is still small when compared to other American cities. There is no “Little India” to speak of in the area, like one finds in cities like New York or San Francisco. Saluja, who lives in Peters Township with his wife, Jane, says it’s not that Pittsburgh has been unwelcoming. “Pittsburgh has generally been indifferent. ...We just haven’t done anything proactive. It is changing through the new mayor,” he said of Bill Peduto. Many of the region’s Indian immigrants gravitate to the Monroeville area, home to the Sri Venkateswara Temple, which draws thousands of Hindu visitors to the area annually. 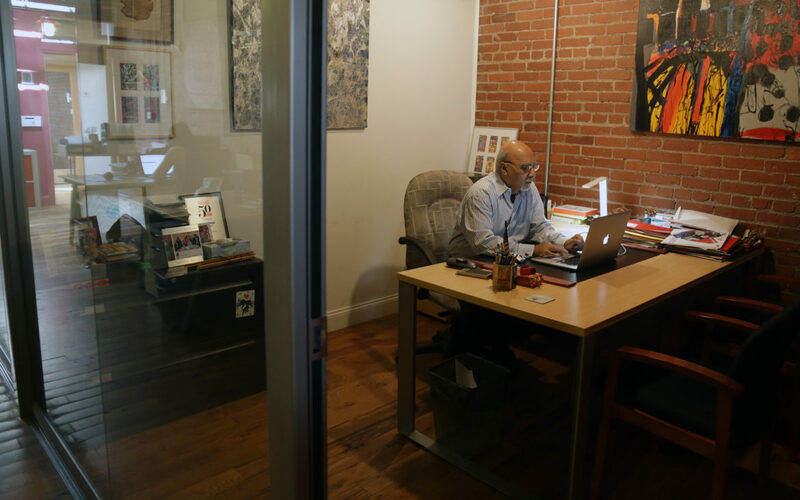 Indian immigrants, like Saluja, often arrive here already in possession of advanced degrees, or with a course of study planned at one of Pittsburgh’s universities. Saluja is a primly dressed, soft-spoken man with a lilting accent and a mischievous sense of humor. His voice has guided listeners of Music from India through thousands of songs, from India’s classical vedas to its Bollywood hits to modern-day Hindi pop. He estimates that he owns thousands of records. An engineer by training, Saluja is also a connoisseur of the arts. He paints abstract works, many of which decorate his home, massive pieces that dominate entire walls (although his most recent art show was a collection of miniature paintings). Saluja describes his parents as typical Indian parents; his father a scientist, his mother a stay-at-home caregiver. In 1979, Saluja’s sister summoned him home to Punjab. Their mother was bedridden with breast cancer. He visited for several days, knowing it was unlikely he would see her again once he returned to America. On the morning he departed, he got up to catch his early train. He had said goodbye to his mother the night before. Both of his parents, he said, impressed upon him the importance of serving others. The two preferred professions in his family were doctor or teacher. “I turned out to be the black sheep and became an engineer,” he said. Saluja says even though he did not go into a service profession, he believes he is carrying out his parents’ wishes. In fact, he adds, he believes the arts are what allows the bridging of cultural divides. As he ponders the future of the radio show, Saluja is considering his own future as well. He was recently diagnosed with prostate cancer. He says the cancer is under control now, and does not reveal much about his prognosis. He said when his doctor gave him the news, he disobeyed the directive not to research his illness on the Internet. “I immediately went to the Internet. … And I don’t know if you’ve heard about this ... I found out that eventually everybody has to die,” he whispers conspiratorially. But he is not dwelling on his diagnosis; instead, he seems unexpectedly upbeat about the burden lifted from his shoulders. When most Westerners think of Indian music, they think of female singers reaching impossibly high notes, or a the warm tones of a sitar. Music’s role in everyday Indian life cannot be understated, Saluja says. He estimates that India makes more movies than any country in the world each year, many of which are the famed Bollywood musicals. In 2012 alone, according to Forbes Magazine, Bollywood produced more than 1,600 films, compared to fewer than 500 from Hollywood and American cinema. (U.S. films remain well ahead of Indian cinema when it comes to box office receipts, however; American films grossed nearly $10.8 billion in 2012 compared $1.6 billion in India). Saluja remembers as a child seeing traveling minstrels, who would bring their songs to villages and towns in India. “It became natural to everybody that people would break out in a song, for every situation,” he jokes. There’s no telling how much (or little) of an exaggeration that is. For Indians who left the country at the time Saluja came to the United States, there were few ways to bring that piece of home with them. Vinyl records were, and are, cumbersome, and the Internet and streaming music were still years away. There were almost no other cultural bridges between Pittsburgh and India at the time, so it seemed that a radio program playing Indian music for Indians thousands of miles away from home had a good chance of garnering a loyal following. When WDUQ wanted to add programs with ethnic music, the station called on Saluja to represent India. “You would bring your own music because the station didn’t have Indian music down there,” he said. There was a near-immediate positive reaction to the show. Other ethnically-themed shows DUQ conceived at the time were short-lived. But Music from India was an instant hit. Listeners would call in to remember the departed and make requests. And as all public radio shows are, Music from India was part of the annual pledge drive. One evening in the early 1970s, this provided some unexpected evidence of how devoted its listeners had become early in the show’s tenure. Volunteers who had been working the phones all day were given a break, because no one expected much call volume on a Sunday night. Saluja has connected with many fans of the radio show who became friends over the years. When they first heard the program, Juginder and Dolly Luthra of Weirton did not know the man behind it. “We moved to this country in 1975 and asked someone if there was any Indian radio program,” Dolly said. “He had a very soothing, mesmerizing voice. And I thought if this man is speaking so nicely on the radio, I have to meet with him.” She invited Saluja and his wife to dinner in October 1977 and they have been friends since. Bob Studebaker, production director at WESA, first met Saluja when he started at WDUQ in 1997. “By the time I got here, Harish had been doing the show for 20 years,” Studebaker notes. Studebaker said Saluja has made significant and long-lasting contributions to Pittsburgh’s culture, through the radio show and the Silk Screen Film Festival. Saluja founded the Silk Screen Film Festival in 2006 because of his love for movies. He believes it is the only organization in Western Pennsylvania highlighting the films of Asian filmmakers. He also contributed by to the festival by writing, producing and directing a film called The Journey in 1997 about an Indian headmaster who comes to Pittsburgh. “If Pittsburgh is in fact a modern cosmopolitan city, then it’s people like Harish and his program that make it so,” Studebaker said. Saluja’s Music from India co-host, Dr. Vijay Bahl, has never been to India. An endocrinologist in private practice here in Pittsburgh, Bahl grew up in Nairobi, but has always been interested in Indian arts and music. He had a music show on the radio in Nairobi when he was younger, and while in medical school wrote and produced three Hindi plays. 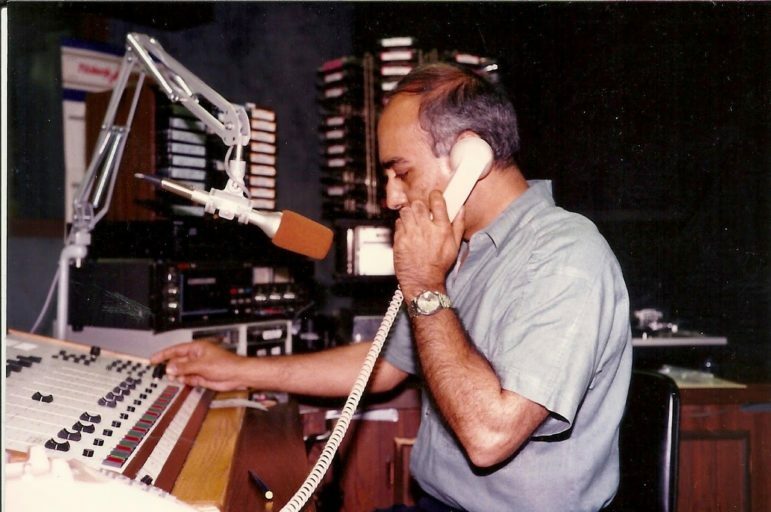 Bahl met Saluja at the radio station in 1978. The show was in search of a new co-host, after a previous one left to pursue another opportunity. When Bahl came on board, it was not long before the show was extended to its current two-hour format. “I could do even more; Indian music is so vast, and each region has its own hallmark music. Some is romantic, some is more traditional qawwali, there is so much to choose from,” Bahl said. Just as he has been on the airwaves for the past 45 years. Kim Lyons is a freelance journalist in Pittsburgh. She can be reached at kim@kim-lyons.net.